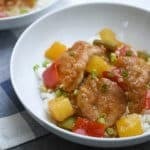 Boneless chicken thighs are browned and cooked low and slow in a flavorful sweet and sour sauce until fork tender. 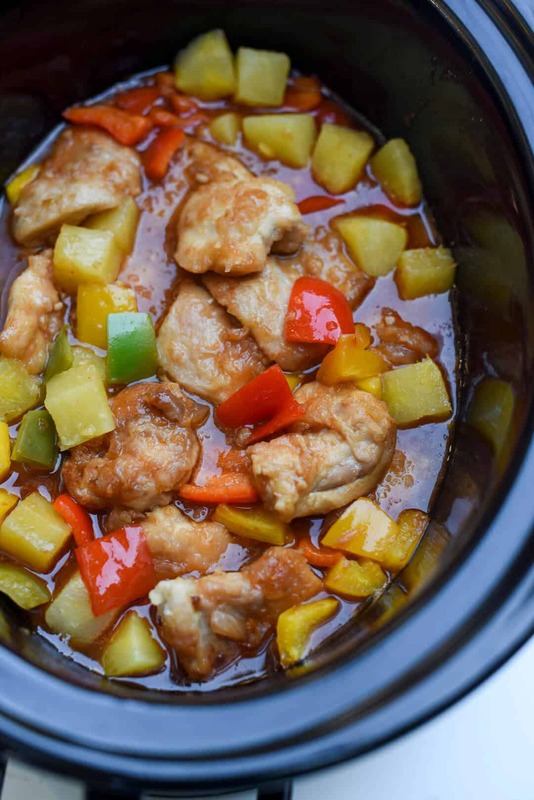 Colorful bell peppers and chunks of pineapple round out this better-than-takeout Slow Cooker Sweet and Sour Chicken. I had a house full of sickos this weekend. A pretty serious cold hit our house and it hit hard. I had light symptoms but everyone else was miserable, so what to do? I spent the entire weekend in the kitchen recipe testing and I came up with a couple of delicious dinner ideas that I think you guys are really going to love. Feed a cold, starve a fever? Well, definitely feed a cold! Of course, they’re all feeling better today and the darn thing hit me like a truck yesterday. So, this morning I’m snuggled under a blanket watching The Today Show with the pups at my side and thought I’d share the results one of my recipe tests this weekend. 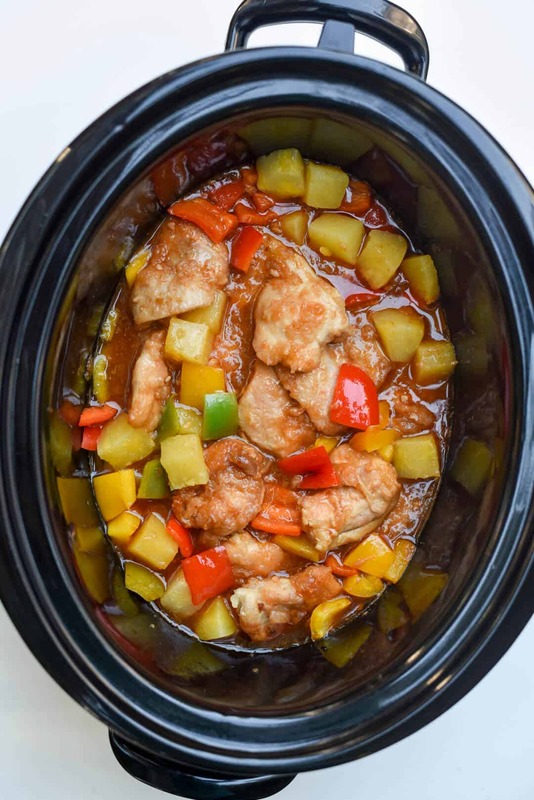 I love trying new things in the slow cooker just to see if I can make it work and this Slow Cooker Sweet and Sour Chicken works spectacularly. The sticky, sweet sauce is reminiscent of the takeout version and I was so impressed by the texture of the chicken. It cooks just until it is perfectly fork tender but still holds its shape. 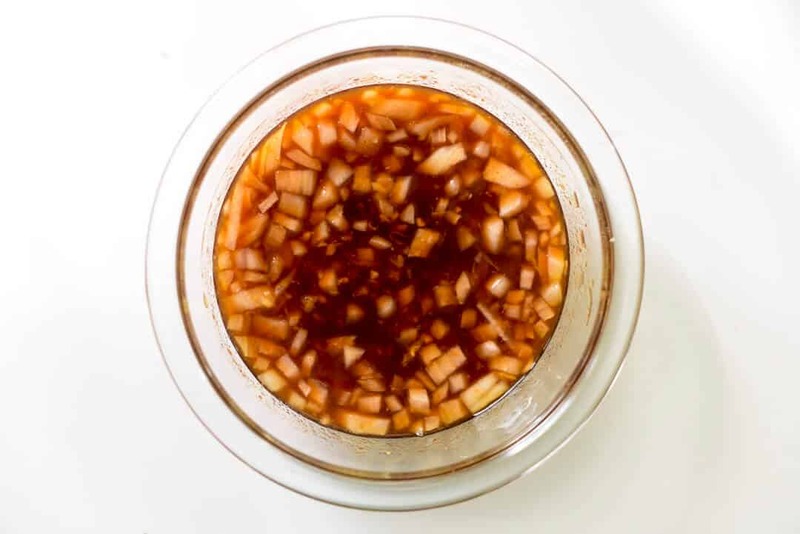 The first step is to whip up the sauce which consists of some of the reserved pineapple juice from a can of pineapple chunks, chopped onion, rice vinegar, ketchup, honey, soy sauce, fresh ginger, garlic, and salt. You’ll save those pineapple chunks from your can of pineapple for the very last step in this recipe. Store unpeeled fresh ginger root in a small resealable plastic freezer bag in your freezer. Peel and use a microplane zester or cheese grater to grate the frozen ginger root for recipes, when needed. Ginger root will keep well in the freezer for about a month. 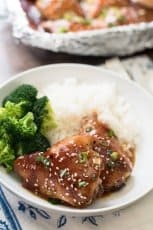 I used boneless, skinless chicken thighs for this recipe. 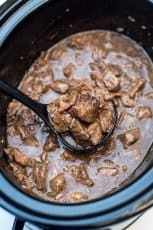 They are super economical but also have more flavor than boneless breasts and get SO tender in the slow cooker. They are halved and coated in cornstarch and do a quick turn in a non-stick skillet with just a little oil to get that lightly golden brown texture we are after. The cornstarch also helps to thicken the sauce as it cooks. Brown the chicken in batches and transfer it to your slow cooker. Pour the flavorful sauce over the top and cover and cook on HIGH for 3 hours or on LOW for 5 to 6 hours or until the chicken is fork tender but not falling apart. At this point, add some chopped bell peppers. A variety of colors makes this a gorgeous dish. 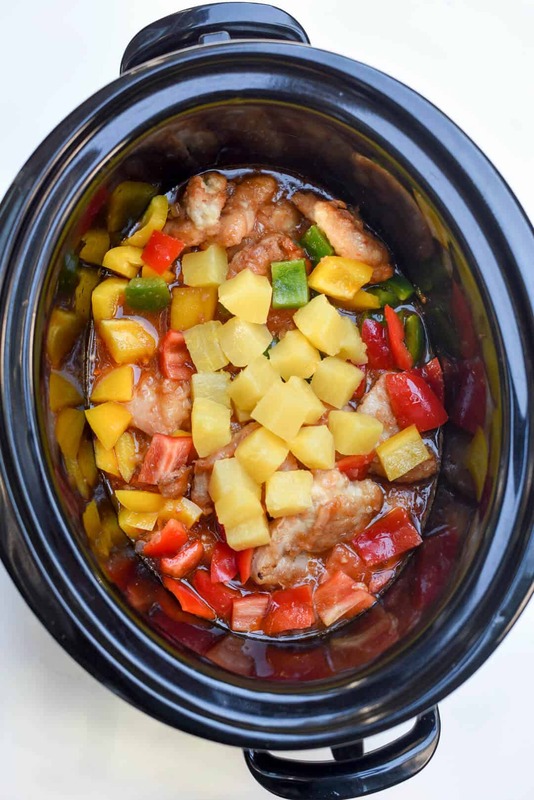 Stir the bell peppers down into the sauce and add the pineapple chunks right over the top. Cover and cook on HIGH for an additional 30 minutes, or until the bell peppers are tender. It’s during this last cook that you can get your rice started. 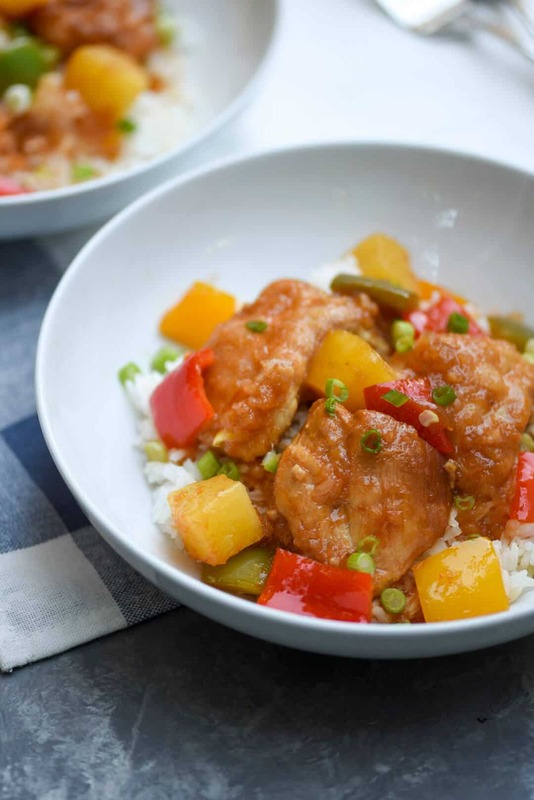 With the help of the cornstarch coated chicken, the sauce cooks down to the perfect consistency. Spoon it over rice with a sprinkling of green onion over the top. Colorful, flavorful, and so tender that no knife is needed! 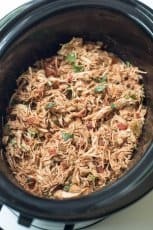 Check out my full collection of Slow Cooker Recipes. Place 1/2 of the chicken thighs in a large ziplock plastic freezer bag and sprinkle with 2 tablespoons cornstarch. Seal the bag and shake until chicken is evenly coated. Heat 1 tablespoon of oil in a large nonstick skillet over MEDIUM-HIGH. Add coated chicken and cook 3 minutes on each side or until lightly browned. 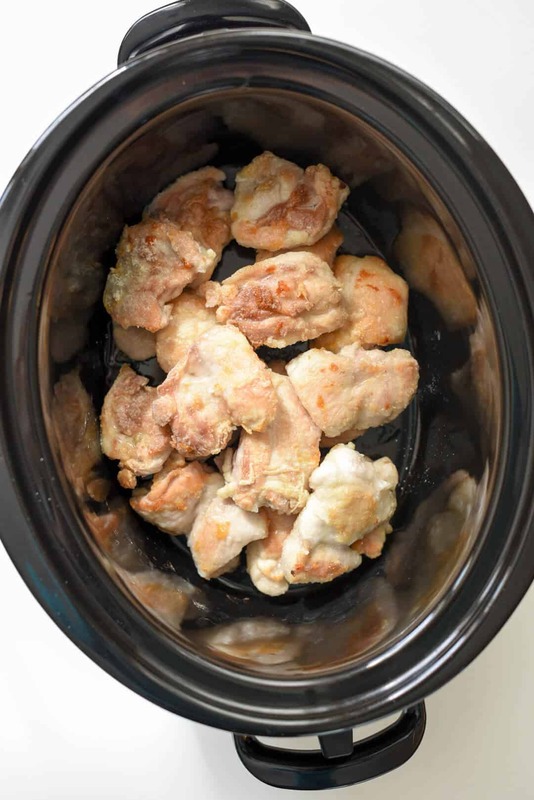 Transfer browned chicken to a 5 to 6 quart slow cooker. Repeat coating and browning process with remaining chicken, cornstarch, and oil. Drain and reserve the juice from the can of pineapple chunks. Cover and refrigerate drained pineapple chunks for later. Combine finely chopped onion, rice vinegar, 1/4 cup of the reserved pineapple juice, ketchup, honey, soy sauce, ginger, garlic, and salt in a medium bowl. 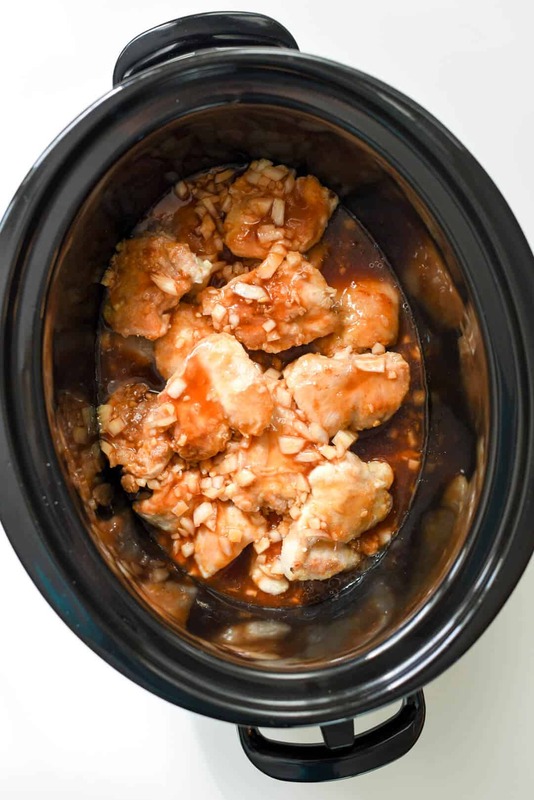 Pour sauce over chicken in slow cooker. Cover and cook on HIGH for 3 hours or on LOW for 6 hours, until chicken is tender and cooked through. 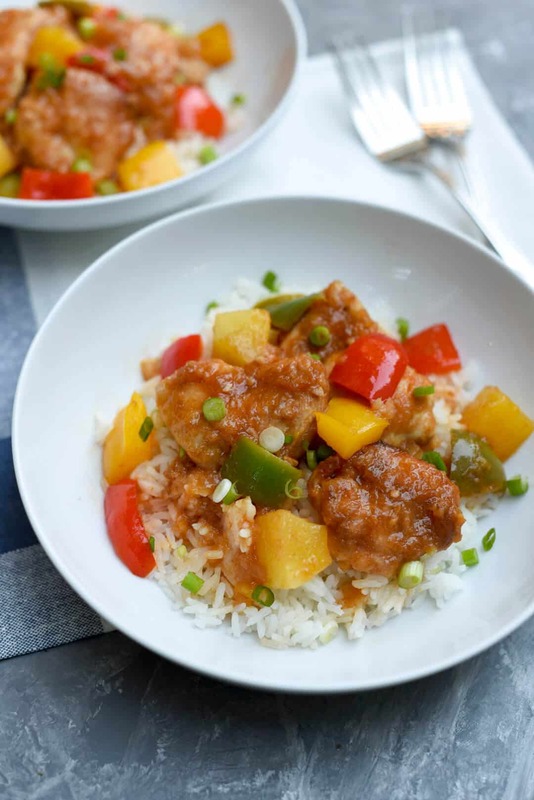 Stir the chopped bell pepper into the chicken and sauce and spoon reserved pineapple chunks over the top. Cover and cook on HIGH for an additional 30 minutes, or until bell pepper is fork tender. Serve over rice garnished with green onions. This looks amazing, perfect for a weekend on chilly day! 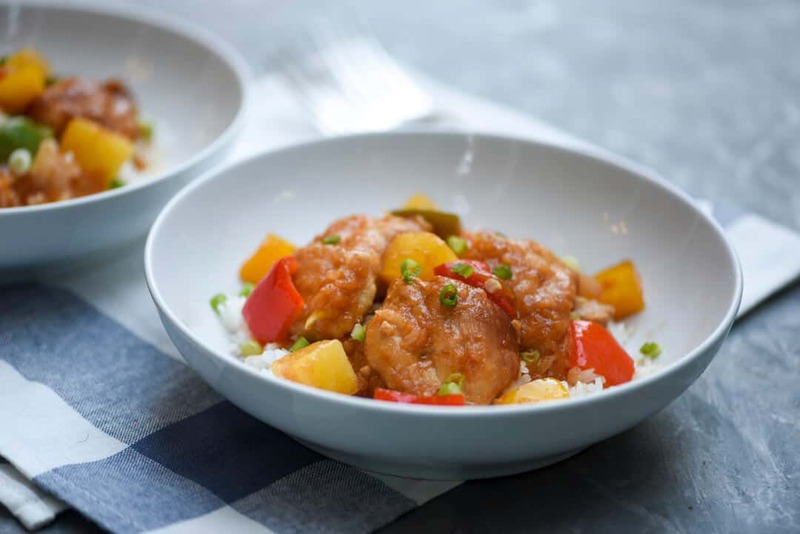 There is no reason for takeout with this delicious recipe! Ooh, I bet the chicken is so tender made in the slow cooker! 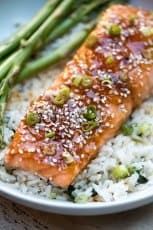 I love that I can make this restaurant favorite at home! Such a classic!!! Love this recipe so much because not only is it tasty but reminds me of my mom. 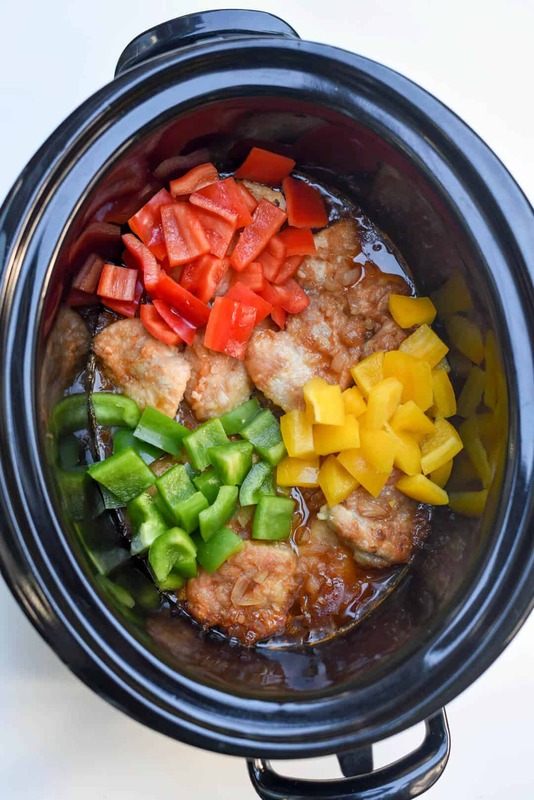 I love that you made such a classic in the slow cooker, with great flavors too! Looks so delicious! I’ll have to get my slow cooker out now! SO much better and better for you than anything I’d order delivery! Can this be frozen? If so, how would you recommend reheating?